*Special Event* | LIVE Author Q&A with Aaron Blaylock, debut novelist of “The Land of Look Behind”! Late last year, whilst the blog tour for The Land of Look Behind was being assembled, I was exchanging ideas with Mr Blaylock on behalf of what I could host in regards to a ‘guest author feature’ on my blog in conjunction with my review for his debut novel when I mentioned hosting a LIVE Author Q&A wherein we could invite everyone to visit my blog during the day of the interview to leave questions behind for him to answer in the afternoon and evening. This has been done a few times in the past on Jorie Loves A Story, much to the happy delight of attendees and authors alike! I welcomed the chance to host another event like this one, as it allows a real-time interactive conversation between the bookish and the author whose story is gaining traction with readers. It’s a great way to attend an author event outside of the twitterverse and bring everyone together in a good old fashioned social gathering where the comment threads become the spirit of the party! I must admit I was quite surprised by the resolution of The Land of Look Behind as I think like most readers, I had a different impression of where the story might lead us on this quest Gideon undertakes for himself, but it’s how Blaylock wrote in a curveball which ultimately changed the course of Gideon’s life which held salt. I even appreciated the ending pages of the novel itself as they were so beautifully composed and expressed; an ending befit of the core of this novel’s heart but it was so much about the journey a soul takes to understand it’s path whilst it’s travelling through a lived life here on Earth. You will find the questions I wanted to highlight ahead of the LIVE Q&A tonight, which I am hoping will help you formulate your own questions, comments and curiosities! I am hopeful those who are on the blog tour will drop by inasmuch as fellow book bloggers, readers, and writers who want to contribute to the evolving conversation! I look forward to seeing your enquiries and chatting with you, tonight! I composed a few ‘click to tweets’ to help you pass on the word of this event via Twitter; which you will find at the end of this interview! ahead of the *LIVE! * Author Q&A! Jorie interviews Mr Blaylock ahead of the 6:30pm (EST) | 4:30pm (MST) live commenting blog event which will take place in the comment threads of this post! IF you are unable to drop back during the time in which Mr Blaylock will be responding to reader comments, questions, and compliments please make sure to leave your response *early! * in order for him to respond! All comments are still moderated by Jorie, who will be on hand during the live event making sure all comments get through! Once approved you will have the ability to post a direct response without waiting. 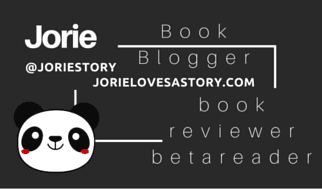 Readers of Jorie Loves A Story, visitors on the blog tour route, fellow book bloggers and writers can easily leave a comment by using Email, WP, Google+, Facebook & Twitter interfaces without the stress of captcha as I do not use that service! *Remember! * return back to this page at 6:30pm (EST) | 4:30pm (MST) to make sure you do not miss Mr Blaylock! I do recommend subscribing to the comments in order to keep in the loop! The author will be on hand to respond LIVE for a block of two hours! Three hundred years ago, a soldier named Jarvis journeyed deep into Jamaica and discovered a land of myth, treasure, and danger. Now Gideon, who served in Jamaica as a missionary, returns armed with Jarvis’s journal to follow the enigmatic clues with his best friend. But they quickly discover there are forces who would kill to keep the treasure secret. Travel into Jamaica’s treacherous cockpit country in this spine-tingling thriller. Born and raised in Arizona, Aaron is proud to call the desert home. He came of age in the suburbs of Sacramento, California and as a missionary in Jamaica, where he fell in love with the people and their culture, but he has always been drawn back to the valley of the sun. He married his childhood crush, and the girl of his dreams, in 2001. Together they are raising four beautiful and rambunctious children. He worked as a freelance sports reporter for The Arizona Republic for nearly ten years, combining his love of writing and sports. In his storytelling he draws heavily on his love of history, adventure, his faith and his own life experiences. How did you originally come to understand the definition of “The Land of Look Behind” as having origins set in Jamaica and in particular referencing a style of warfare between soldiers and their enemies? How did the title become the footnote of the scope of where your story takes the reader? Blaylock responds: I learned about the Maroons and a bit of their history while living in Jamaica but it wasn’t until I returned home and studied more of their history that I learned of the origins of their communities and the meaning of The Land of Look Behind. I was immediately enthralled by the idea and that was always going to be the title of this story, however, the scope of the idea of Look Behind did not become fully formed until I found the symbols addressed in the book and learned of their meaning. It fit so beautifully into the story that I wanted to tell but gave it additional depth and meaning. Jarvis is betwixt his conscience and his sense of duty for most of the story, how did you ground him with such humbling realism and yet keep a portion of his side of the story a walk of faith? Blaylock responds: I originally conceived Jarvis as a means of giving background for Gideon’s quest but as his story commenced and as his character unfolded before me in that first chapter it quickly became Jarvis’s story as much as Gideon’s, if not more so. I found the idea of a man torn between his conditioning and his conscience so intriguing and wanted to explore where that would lead. Is Gideon a composite character on behalf of your own experiences in Jamaica or a compilation of people you knew whilst you were on your mission? What fuelled his character’s internal quest for greater understanding and a more well-defined sense of self? Blaylock responds: My wife will tell you that Gideon is, in many ways, me. I tend to believe I skew more towards Todd but I accept that much of Gideon’s experience parallels my own. His internal quest I think is born from a place that most young adults find themselves in to one degree or another. Their lives are ahead of them and the possibilities seem endless which is thrilling and in some ways overwhelming. For Gideon he found an opportunity to break from the mundane to chase something that was potentially extraordinary. His quest for understanding was something that was inborn in his personality. The time slip narrative is brilliantly brought to life through live-action sequences between Jarvis and Gideon; each owning their own timescape whilst having Gideon refer back to Jarvis’s journal. How did you make the choices you did in allowing each timescape to be represented with authenticity? Blaylock responds: The time slip narrative was something that came about because of Jarvis. Originally I was going to show Jarvis and his initial encounter with this dark and mysterious figure and then only address his adventures through the journal for the majority of the rest of the story. Quickly I decided that there was much more to be told while bringing Gideon out of the monotony of his life into an adventure that was centuries in the making. I wanted to be as authentic as I could with the historical narrative even going so far as to subtly change the spelling of words to match the character or time (for instance grey versus gray depending on which timeline we were in) my hope was that this would create two completely distinct settings that flowed side by side into one story. Part of the time slipping is generated through the journalled entries of Jarvis as read by Gideon, whilst allowing both men’s path to collide with each other at pivotal points of merit on their individual journey. At one point their journey appears to ‘shadow’ and ‘overlap’ with each other, or Jarvis’s journal is acting as a precognitive clue of insight of what will transpire for Gideon. How did you conceive a way to have the novel take shape in both journalled entries and a shifting into the character’s point of action sequences? Blaylock responds: My hope was that past and present would be brought to life in a unique and organic way. Jarvis’s journal is a literal link to the past and served not only as a road-map for Gideon but as a vehicle for him to know Jarvis. Where originally the journal was supposed to only move Gideon’s story along, I really loved the idea of connecting the gaps between where we find Jarvis. It allowed me to move events forward to the next point of action with more subtle exposition. It’s a cheat in many ways as ex-positional story telling, for me personally, can be off-putting unless done in a clever or interesting way. Gideon needed the journal to glean information and continue the intrigue but the reader had the full story that put them ahead of Gideon slightly although they to are trying to unravel the mystery as well. Which part of the story do you feel was harder to write: the historical or the contemporary? Why do you think it was more challenging? Blaylock responds: I will say that it took a great deal of study and preparation to be able to write the historical side. I wanted to be as accurate as possible to really transport the reader to a different time. But when it came to writing the story it was much more challenging to write the contemporary story because I had seen those places with my own eyes and struggled to decide what to include and what to leave out. My first draft was a bulky 119K words and much of that was the Gideon-centric chapters. It was hard to trim out much of what I love about Jamaica but ultimately if it didn’t serve the story it had to go. That was challenging for sure. What drew you inside the genre for adventure fiction in combination with a strong character arc wherein the reader can feel as if they’ve walked with both Jarvis and Gideon on this expedition? Blaylock responds: I grew up on Indian Jones and Alan Quartermain. I loved their adventures and found them to be so entertaining but they were set in bygone eras that I had no experience with. I wanted to tell a tale of adventure in our time to kind of say “Hey, the days of adventure are not over. Adventures are still there to be had. We haven’t seen it all yet.” At the same time I wanted the characters to be real and not solely gun toting, whip slinging heroes. It was important to me that the readers could feel that these were people who they might know and associate with and not some archetypal hero cliché. How did you write Jarvis and Gideon to be approachable to both male and female readers who love to read Adventure fiction? What inspired you to write a humanistic story which could be relatable to everyone? Blaylock responds: From the outset I wanted to set both Jarvis and Gideon as almost victims of circumstance but my goal was to quickly move beyond that and introduce the power of choice. It is my belief that we can all relate to the feeling of being caught in the current of circumstance and the struggle against its tide. My hope is that by showing their own struggles with humanity that they would reflect each of us in some way regardless of age, gender, race or circumstance. How did you approach the cultural heritage and traditions of Jamaica as it related to the story of “The Land of Look Behind”? What did you want to convey to the reader who is not as familiar with the country of the story’s origin? Blaylock responds: The Land of Look Behind is in many ways my love letter to Jamaica. So much of their cultural heritage and identity inspired this story. I wanted to tell not only about their history but about who they are, to make the island and her people its own character. My hope is that one of the reader’s takeaways will be a desire to visit Jamaica and see these beautiful and fascinating places describes on the pages of this story. I want to draw reference to a section of your novel where it felt to me as if you had written a portion of dialogue where anyone outside the LDS Church is living without the Light of God. This was how I read those words and how it resonated to me. If you were trying to highlight Todd’s absence of faith or the fact he is Agnostic why not make this plain as day to avoid misunderstandings? Blaylock responds: I do not believe that anyone of God’s children is living without the light of God. I believe we are born with it. It is the divinity in each of us. However, we can choose to seek that light, to embrace that light and to shine that light to our brothers and sisters or not. The exchange between Bigga, Gideon and Todd was intended as a narrow entry point into a wider understanding for each of them into the idea of light and darkness. For Bigga and Gideon their faith in Christ is their relationship with that light while Todd’s more live-for-today (almost devil-may-care) attitude is in contrast with theirs. Bigga is most definitely asking why Gideon has yet to evangelize his friend but the implication was more to illustrate their relationship with light and not Todd’s lack of faith or light. I appreciate your thorough review of my story and apologize for any angst the dialogue may have caused you. I’ll answer your question as best as I can but I did want to provide you with a little background in regards to that exchange. The original draft of the story contained a paragraph of Gideon’s struggle with the narrow perspective of so many of his friends and loved ones of his faith and his flippant response was an attempt to blunt their effects on his friend while effectually mocking the implication. The paragraph was condensed in subsequent drafts and finally removed as it was decided that it did not advance the story at that time. I never intended to write a piece of “LDS Fiction”, I wanted to tell this story and it happened to have an LDS character. I did however, attempt to address parts of LDS culture and mindset that spoke to Gideon’s upbringing. My intent was never to say that those outside of the LDS faith (including Todd) are living in darkness. I left the dialog in, even though the subsequent paragraph was removed, for the same reason I introduced it in the first place because it eluded to later references to light and darkness that would be important to Gideon and Todd’s journeys and understanding. I’m not sure if that helps but hopefully with my answer about I’ll have fully explained myself. I fully appreciated this initial response from Mr Blaylock because it pointed to how receptive he was on critical feedback he was receiving on his blog tour about something that stood out to me to be important to broach on my review. As I read this response and his answer to how I worded the question for this interview, I still stand by my original reactions because if the edits had not been done to erase this transparency of understanding ‘exactly’ what the author was intending us to understand, my miss-perception on his story-line and of his characters would not have happened. It’s the exclusions that blurred the intentions and changed how I perceived this paragraph to be read as it was a game-changer. I am unsure if he will put the original paragraph back into the novel in a future printing but I do encourage this, as for cross-market appeal I could see how this would dissuade further misunderstandings from non-LDS Protestants such as myself. As a male writer what do you feel is missing from literature today that champions strong male leads with stories that are similar to Women’s Fiction in scope where Men’s Fiction could lead to more introspective and soul journeys with strong male leads who are as enjoyable to read as their female counterparts? What do you gravitate towards as a reader and what do you feel needs to change? Blaylock responds: I think often in literature “strong males” can lean too hard on the adjective. Strength of will, of character or of body are admirable traits and are widely attributed to male leads but that can be at the expense of not only the character but their personal journey within a story. I don’t feel men get the credit we deserve for being complicated. There is more that goes through our mind than thoughts of physical gratification and we suffer more from indecision and doubt than we are socially comfortable expressing. I believe that the average man is much more nuanced and interesting than the alpha male or timid weakling portrayed in popular culture. Having said that, I actually gravitate towards these heroic male figures with unyielding certainty; probably because I aspire to that on some level, recognizing my own shortcomings. starting at 6:30p EST in the USA! 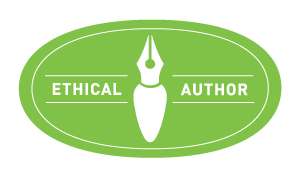 Similar to blog tours where I feature book reviews, as I choose to highlight an author via a Guest Post, Q&A, Interview, etc., I do not receive compensation for featuring supplemental content on my blog. I provide the questions for interviews and topics for the guest posts; wherein I receive the responses back from publicists and authors directly. I am naturally curious about the ‘behind-the-scenes’ of stories and the writers who pen them; I have a heap of joy bringing this content to my readers. Copyright © Jorie Loves A Story, 2016. Happily enjoy the recap of promotional tweets from this event & spread the word to your followers! « Blog Book Tour | “Emmy Nation: Undercover Suffragette” by L. Davis Munro My second reading of Feminist driven Historical Fiction wherein I am championing the spirit of women who fought for our right to have Equality! Blog Book Tour | Sophomore release continues the story first read inside “Pierced by Love”, as Laura L. Walker carries her story forward in this INSPY sequel! Audiobook Review | “The Cryptic Lines” by Richard Storry narrated by Jake Urry Jorie’s first audiobook review! +Blog Book Tour+ How Much Do You Love Me? by Paul Mark Tag An achingly passionate World War romantic drama of two courageous souls entwined! Blog Book Tour | “The Unsaid” by Aaron Blaylock the author of “The Land of Look Behind”. Blog Book Tour | “Becoming Beauty” by Sarah Boucher a #retelling #fairytale of #BeautyAndTheBeast! Blog Book Tour | “Liam Darcy, I Loathe You” (Book No. 1 of the Jane Journals series) by Heidi Jo Doxey A #contemporary inspired story based on #JaneAusten’s canon! Blog Book Tour | “Midnight Runner” by Marilee Jackson A debut novelist who gave me quite a heap to blog about with this #histfic! Yes, to fill the gaps in the historical timeline with facts and fiction is probably what makes for a wonderful read. And I’m glad to know that internet can be relied on to an extent for research. Especially when you’re writing about places and people who’re so far away, perhaps in a different world altogether. I have seen how strongly I lean towards devouring historicals since I’ve become a book blogger; a bit of a streaming conversation with myself and my readers as I’ve progressed forward these past two years; nearly entering my 3rd Year (end of March) with the full knowledge that it’s within the pages of historical fiction I feel truly rooted and locked inside History’s backdoor. I thought it was brilliant you asked about his research habits as each writer approaches this in their own unique ways! I was just lamenting about historical research thriceover this past week, when I was reviewing Daughter of Destiny, Emmy Nation and The Renegade Queen! The beauty is how writers do not let the research overtake the story and we can fully envelope ourselves into their world! Well @thedreddpirateroberts, there is a pirate in The Land of Look Behind and he is one of my favorite characters in the story. Thanks for stopping by and for your questions. Look for my sophomore release “The Unsaid” in October. Thank you Lu Ann. I’m so pleased you enjoyed it. All the best. Thank you! My last name is Roberts and I’m a pirate, so it fits. That sounds like a really cool concept for a book. I’ll be looking for that! A pirate dropped by our Q&A, eh? Wells, I’m a Captain Jack type of gal, so it’s quite lovely a friend of his came round! Yes, I agree the premise of Blaylock’s sophomore release does sound quite intriguing – how he will pull off that concept is going to be an interesting surprise for all of us! Thanks so much for contributing to the evolving conversation, your presence was appreciated! I totally had to go plunder the burger buffet at Fuddruckers. It came out a success. I write as well and also draw a lot of inspiration from films as well as authors. It feels good to have another author admit that. It’s all storytelling right? I’ve heard of Fuddruckers but mind you, this isn’t something that is near to me, so I’m at a proper loss! Took a googling look, though! lol I spied a lovely cod burger & a veggiehead one, too! Now those are up my alley of interest! Nice to see a major chain like this cater to other interests outside the beef! They even had big game burgers for those who appreciate something quite different than the norm, too! In regards to motion pictures & cross-media influences or inspirations, I believe this is almost an organic inclination of writers, because how creativity fuses inside our own imaginative hearts and minds is a clever composition of *everything! * we appreciate about the Arts. The mediums in which the crafting of ‘stories’ can be expressed runs the complete gambit of interests from film, book, spoken word poetry, sound, lyric, etc – any which way you slice it, stories have a way of elevating our experience of a character or of a singular experience meant to be shared through the components of storytelling. Never limit yourself and always stay open to where the possibilities of a story will lead you! Aaron Blaylock is an exciting new author. I am anxious to read more from him in the future. Thank you, for dropping by the interview & Q&A with Mr Blaylock! You’re welcome to ask a question about his writings and/or about the book itself – as even though the live commenting part of this Q&A has concluded, the author is still returning to respond to comments! I checked to see if you saw my note I left on your blog tour review for #LandofLookBehind but it didn’t go live. Hopefully it went through alright! Nice to see another blogger on the tour coming by for a visit! Cheers! Thank you everyone who was following this LIVE Q&A as much as those who were leaving their questions to be responded tonight! The author had a wicked sweet time, as you can tell and for those of you who wanted to leave a Q but were unable too, please feel free to continue the conversation as you arrive back! All questions will be responded too, and we thank you for supporting a new #IndieAuthor as his writerly career begins with the #LandOfLookBehind! My gratitude to Mr Blaylock for being open to both writerly and readerly questions! Blessings to everyone!! And, thank you for making this a lovingly most read blog post for today! Your visits gave me the impression the content of the interview and the Q&A were most enjoyed! Return again soon to see what will be happening next as I continue to seek out INSPY stories throughout 2016! What is the most exciting part about getting published? Thank you for attending my LIVE Q&A with Aaron Blaylock! He’s responded to your keen question about what I think most readers are curious about knowing from authors – it was a good one to pitch and I hope you enjoy his reply! You can follow-up with him or feel free to ask more questions as you feel inspired to do so! Appreciate your participation! I have to go, but I will be checking back on the convo. Congratulations Mr. Baylock. One more question, who are some authors that have influenced your writing? Don’t worry – the comments are moderated on Jorie Loves A Story, once I approve your first comment, your next comments will automatically appear! I do keep watch on the comments as they come in for moderation purposes, but there should only be a small delay as I am approving them tonight as they come in! :) Thanks for your patience! Hi Aaron. So I understand your book is based on where you served your mission. What inspiration will you draw from for your next book? Two things. First, I love your handle thedreddpirateroberts. Second, my next novel (due out in October) is a bit of a departure from this story and genre. I actually drew inspiration while I was falling asleep. I had a thought that I did not share with my wife because I knew it would not be well received. I wondered what happens to our unspoken thoughts and imagined a heavenly department charged with cataloging and filing all of our unspoken thoughts. A very unique and interesting love story blossomed from that premise. I do have more adventures in store for the characters in The Land of Look Behind and drew inspiration from the history of the America southwest where I grew up. Thank you for your question. Okay boys and girls. I’m here and ready for your questions. Hi. How important is research for writing historical fiction ? How did you conduct your research about the mythological and contemporary details that ‘The Land of Look Behind’ is based on ? How did you find reliable sources of information and what writing advice would you like to give aspiring writers of your genre? Thank you, Priya for being the first person to pitch a Q for Mr Blaylock! You asked wicked good questions about how to create the back-story and the essence of this novel’s setting, as you picked up on the fact Blaylock wrote a very mythological historical/contemporary cross-over! He used elements that I felt fit the novel’s core of focus, but also, I, too, as I was reading the story was curious about how he stitched these elements together and drew inspiration to bring them forward. Great way to start off the Q&A tonight! Glad you stopped by early, as I know there is a time zone conflict!